Home > Questionnaires > Would I Make a Good Police Officer? Tough, rewarding and varied, the job of a police officer is to increase safety and security, protecting the public from criminal offences, investigating cases and helping to support victims and witnesses. If you’ve ever wondered what it takes to be a successful police officer, read our guide and see if you fit the Old Bill. What Sort of Person Makes a Good Police Officer? In order to be a successful police officer it’s important to have a number of critical skills and attributes. These include confidence, a calm demeanour, respect for people of all backgrounds, colours and creeds, and a real passion for making the community a better place to live. It goes without saying that a police officer must also be resilient and diplomatic and able to communicate very well. Honesty and integrity are key skills, as is the ability to work alone or as part of a team to investigate and combat crime. The significant amount of paperwork and admin involved in police work calls for a good standard of literacy, too. Entry to the police force is open to almost all, providing selection procedure standards are met. Following an application being accepted, candidates attend regional assessment centres where various tests and interviews must be passed. Police officers must also meet fitness and medical standards, though these are not too demanding. There follows a two year training programme (the Initial Police Learning and Development Programme) split into four phases covering classroom and work-based learning. Training and development then continues through a police officer’s career. 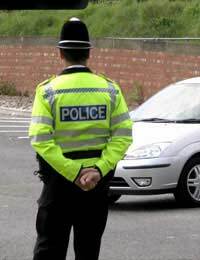 Police officer salaries start at around £21,000, rising to around £24,000 after training. There is a clear career structure within the police force beginning with officer and ending at chief superintendent, and salaries increase at each level, with an inspector earning up to almost £46,000. In order to move up through the ranks there are promotion exams up to sergeant level, and from there to inspector, though beyond this level advancement is by selection. A police officer’s working week comprises of two rest days and 37 hours work. Unsurprisingly there are no 9-5 hours in this career, instead trainees must prepare themselves for shift work and on-call hours, and it’s not uncommon to be working overnight. If you think you’d enjoy a career as a police officer there are lots of great resources at your disposal. Try contacting your local police force and look out for recruitment days in your area. Talking to someone in the job is the best way to find out if you’ve got what it takes to make a difference. Questionnaire: Is Home Working for You? Would I Make a Good Teacher?